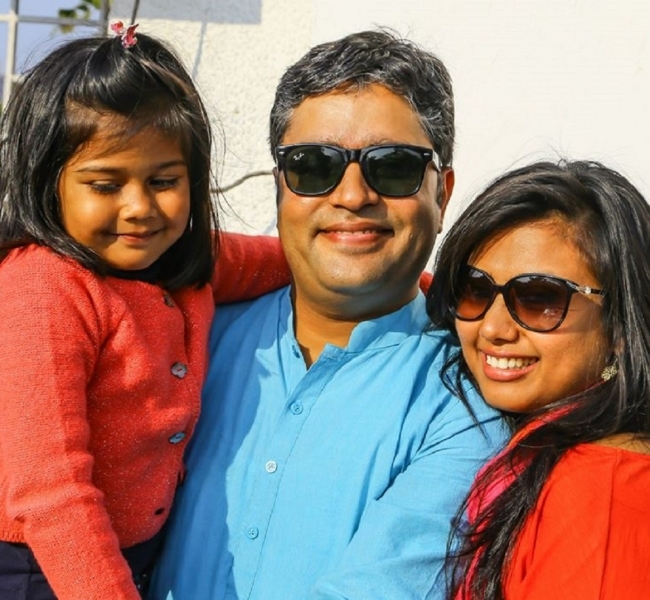 I am married for 10 years now, Shephali my wife works as a Marketing Director with an education (School) group in Gurgaon and our daughter is 6 years old. Cooking is my biggest stress buster and do enjoy cooking for friends and family. I was a part of second batch at Sri Balaji Society which used to operate from Agrasen Campus. The two years spent in Pune at Sri Balaji Society were surely the best two years of academic life despite all the initial challenges one had to go through at that time. Those two years indeed kind of prepared all of us to meet challenges and expectations. Some of my classmates and roommates back then are now friends for life and we are still in regular contact with each other. While 2002 was a challenging year for placements, I was lucky enough to be picked by Berger Paints India Limited as Management Trainee. I worked with them for almost 6 months at Indore managing the sales as well depot management. My territory was almost 3/4 of state which included travel to remotest towns and villages and I used to travel almost 20+ days in a month. However the insights gained during my stint with Berger come in handy even today. I then received an offer from Standard Chartered Bank to join them at their Jaipur Branch which also is my hometown and my decade long journey with them started. I worked with SCB for 10 long years and grew up from the ranks of Personal Financial Consultant to Relationship Manager & then being the youngest Branch Manager in country at the age of 27, all with a span of 3 years of joining Standard Chartered Bank. In 2012 I decided to follow my passion for wildlife & photography and bid goodbye to my full time assignment & started ‘Tigerwalah’ – a wildlife travel and destination management company specializing in customized wildlife tours across India. Today Tigerwalah is a well established name in customized wildlife tours and we operate in 20 national parks and wildlife sanctuaries across India. Apart from Tigerwalah I do own and manage two boutique wildlife lodges Machli Wilderness Home at Ranthambore & Camp Dev Vilas at Kanha National Park in Madhya Pradesh providing a complete wildlife experience to our clients. To those who wish to do something like this- go ahead and take the plunge there is never a right time. Even if you have to ever regret it, it is always better to do and regret. In my free time I accompany school kids to trips across wildlife life destinations in India and share my knowledge on wildlife, flora, fauna, conservation, conflict etc. I am also closely associated with Forest department at Ranthambore in tiger monitoring activities.